We offer a discount program to the trade as well as for “major commercial projects”. To the Trade: We offer a generous, sliding scale discount to design professionals based on order volume. We hope that you will contact us for further details. 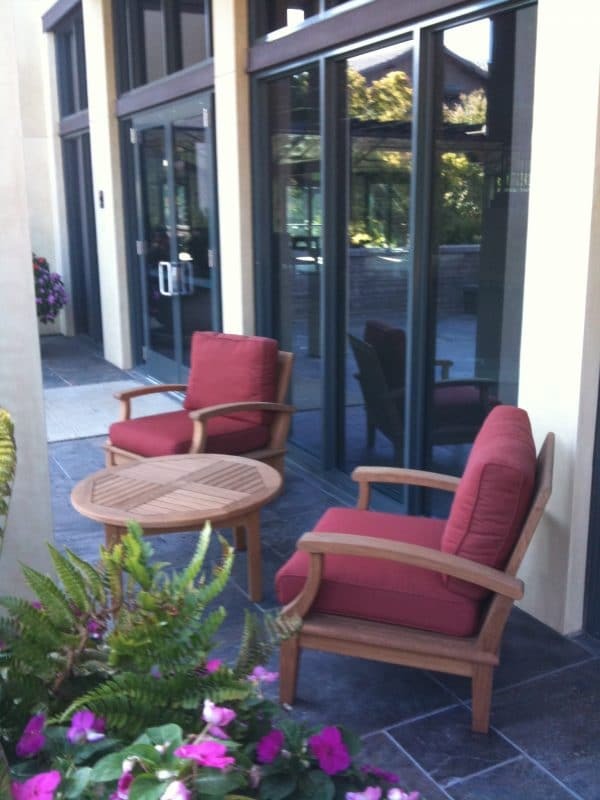 Major commercial projects: If you are a Facilities Manager, Developer, Restaurant owner, or otherwise contemplating a larger scale installation, we encourage you to contact us to see how we can help fulfill your outdoor furniture and shade requirements. If you do not find the items you need for your project on our web site, depending on quantities and timing required, we can have just about anything you can dream of custom made to your specifications. We love a challenge. Just ask us and you’ll see. Morgan Lewis & Brockius Omni Professional Ctr Oracle Corp.